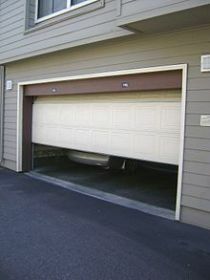 The overhead garage door is an utility generally overlooked but when it breaks down you tend to realize how important it is. When changing yours choose one which goes with the style of the house and comes with good warranty. 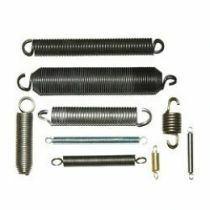 Read the safety instructions before you get to work as torsion springs are known to be fatal if not handled properly. 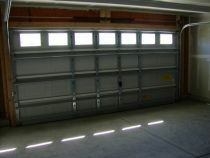 So proceed with caution and only if you are confident, handy with a toolkit and can differentiate garage door parts. 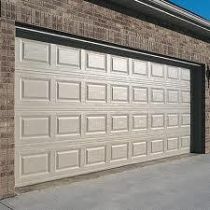 First you have to uninstall the old garage door. 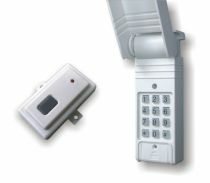 Disconnect it and lock one side of the door in its track, insert a winding rod and slowly apply pressure on the spring – this will loosen then screws. Insert another winding, remove the first and loosen the screw set, top roller bracket first then the hinges to free the panel. Now remove the vertical tracks, the horizontal tracks, the torsion bars and then pry the old doorstop off the jamb. Prepare for installation by scraping away any residual caulk, apply weather strip to the bottom of the first panel and set it to the doorway with nails partly driven into it, then attach hinges to the top end of the door. 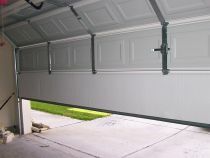 Using the instruction manual, assemble the tracks and install the brackets on the door – or wall, depending on the instructions. Slide the vertical tracks onto the rollers and with the help of a friend who will lift the section and set it in place install the rollers and fasten the hinges. Do so for the first three sections then check that the door is leveled. Attach the jamb brackets and fasten them to the framing members but don’t tighten the screws very hard as you might need to make adjustments – use a ladder for support if it is needed. Make sure that the horizontal track is at the right level and cut the rear hanger at the length necessary to support the track. 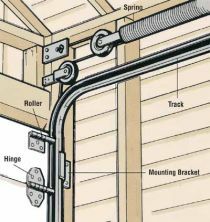 Fix the track hanger to the ceiling or a block using screws and loosely mount the track to the hanger. Do the same for the curved track. 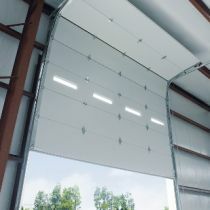 Now remove temporary nails, roll-up the door by about four feet and check if it is leveled, make any necessary adjustments and tighten all the screws and you’re done.